Welcome To Bonnes Amies! 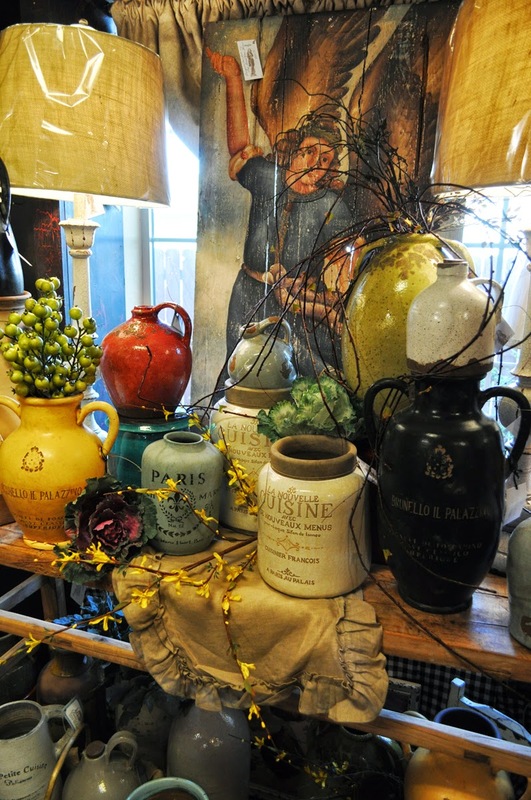 : Pick A Jug Any Jug! 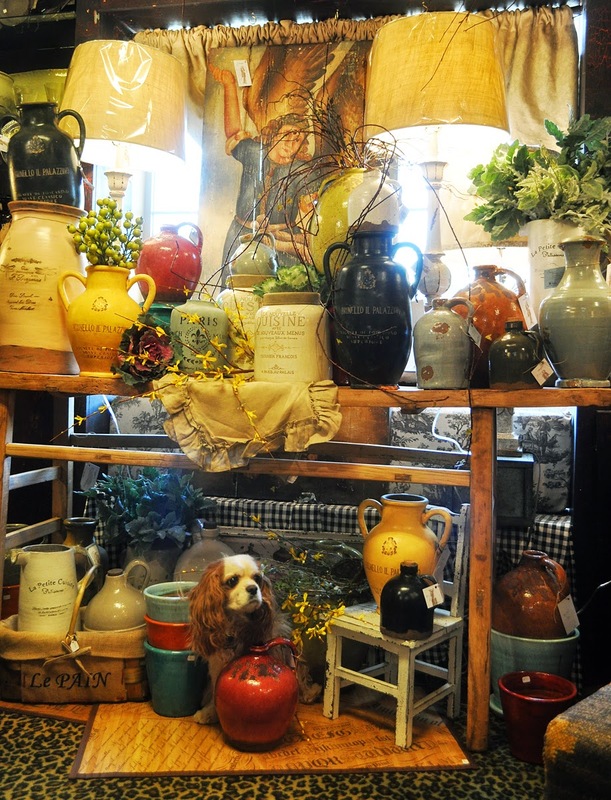 Pick A Jug Any Jug! 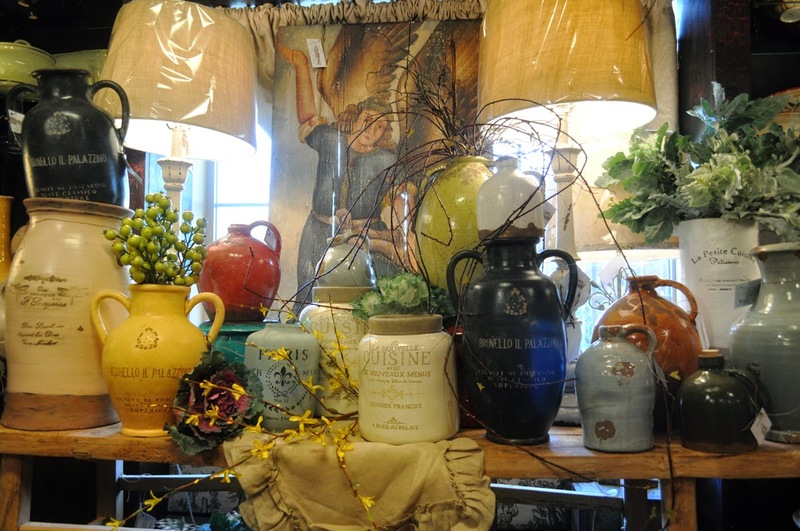 Just in…a large shipment of assorted rustic and vintage-style jugs in a variety of beautiful colors for Spring. They look like they are fresh from an antique market…glazed pots large and small in bright red, turquoise and soft blue(stacked right next to Stumpy). I can see these perfect for holding wooden spoons and utensils in a kitchen or place a sweet blooming violet in them and display on a sunny table…. Place a collection of them on your kitchen table or up high on a hutch…beautiful to stuff with yellow forsythia twigs or bright green berries. Okay we did put a little piece of ham & pineapple pizza in-between the pots so Stumpy would pose for our pictures he likes great old jugs…and pizza, potato chips, and anything else we munch on during the day! My favorite jugs have the pretty lettering and words punched on the front of them…each one is so unique! 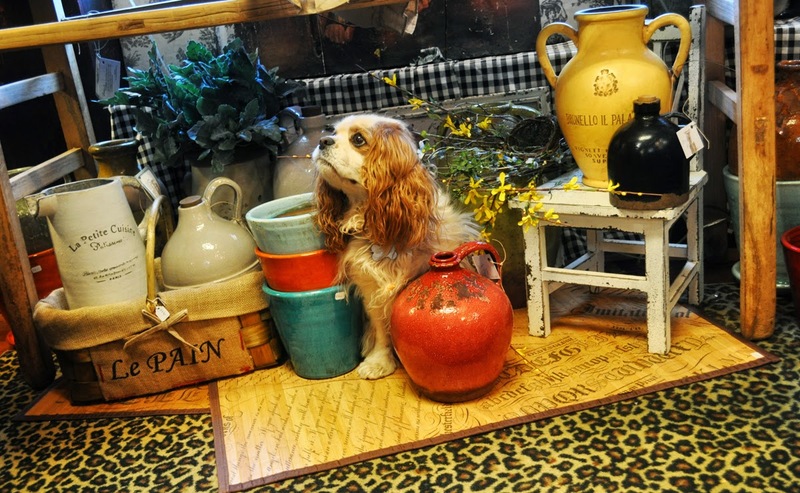 Prices vary from $25.95 from the smallest jug to $90.00 for the very largest-great accent pieces for your home.